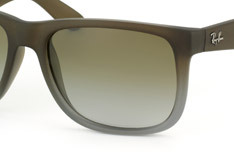 The Ray-Ban Justin range is based on the timeless Wayfarer style of sunglasses, but this design has been updated with slightly larger and squarer lenses adding an edgy feel. 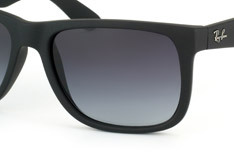 With a rubber finish on the frames and a wide selection of bright colours, they are modern, fashionable and fresh. 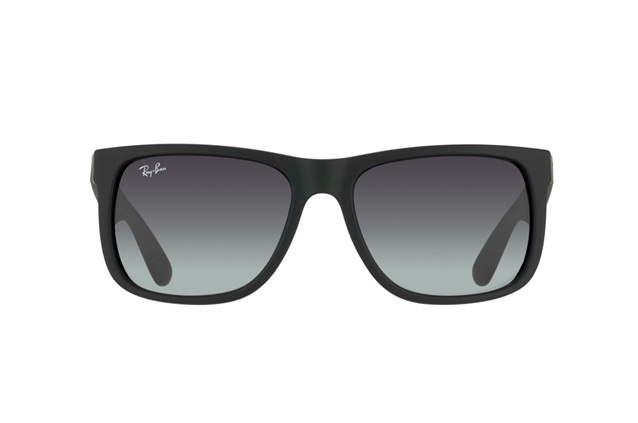 Good for every day protection from the sun's harmful rays, the Ray-Ban Justin RB 4165 601/8G can be worn by women and men. 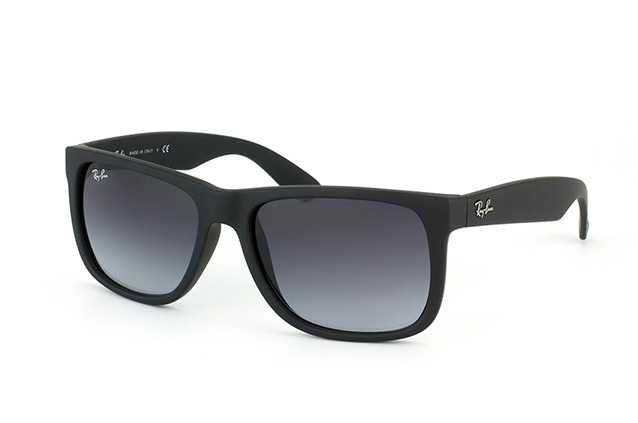 The frames are matte black in colour and are made in hard-wearing plastic which has a rubberised coating. 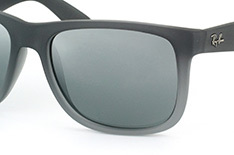 The plastic lenses on this model have a grey gradient tint which is darker at the top than the bottom. 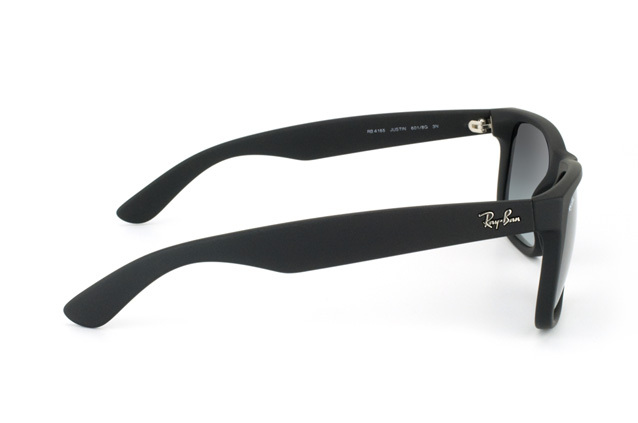 The Ray-Ban signature appears on one of the lenses and on each arm. Mister Spex is Europe?s most popular online retailer of spectacles. To date there have been more than 1.5 million customers who have used our services with total satisfaction. If you are not pleased with your purchase, we offer a 30-day, quibble-free returns option.